Few blog posts ago I mentioned that I submitted Crayon Physics Deluxe to the Independent Games Festival (which is like the Sundance equivalent of games). And Crayon Physics Deluxe is in! It’s nominated for the Seumas McNally grand prize in the main category. And it’s nominated for the Best Student Game in the student showcase category. I’m totally blown away by all of this. It’s awesome and exciting. Congrats to all the other finalists. Which by the way you should check out, because they are just awesome. This is the problem with making games extremly quickly (in less than 48 hours): you miss some obvious stuff. Thanks to Hamumu’s (aka. Mike Hommel) suggestions (over at the Ludum Dare site) I made some changes to M3 – Molesting the Match-3 Market. The most drastic change is in the way the checking for matches works in the game. Now the game lets everything fall down first and then checks for matches (as suggested by Mike). 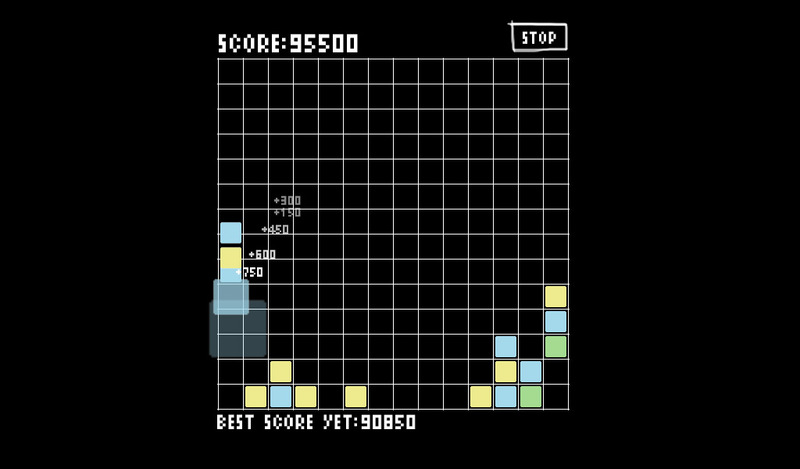 I also changed the colors of blocks so that the contrasts between them should be higher now. You can download the new version from here: M3_release2.zip (2.3 Mb) (Release 2). 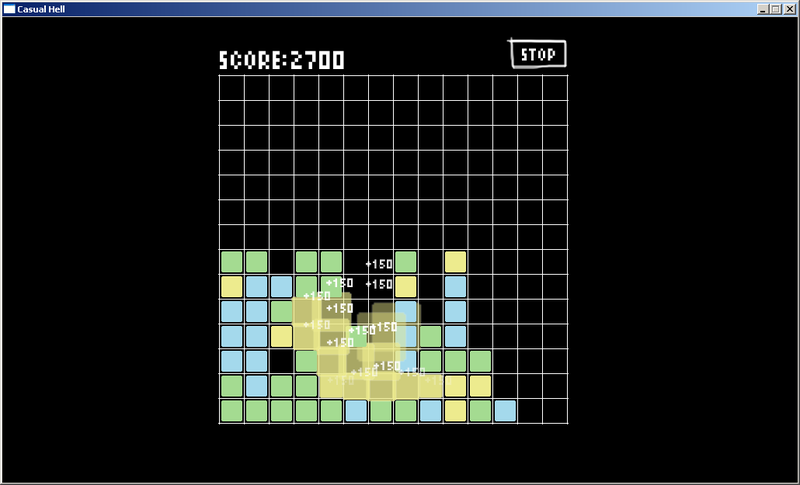 Edit 19th Dec 2007: I did a small update on the game. New version is available now. And now for the final exciting episode of my Ludum Dare blog post trilogy. 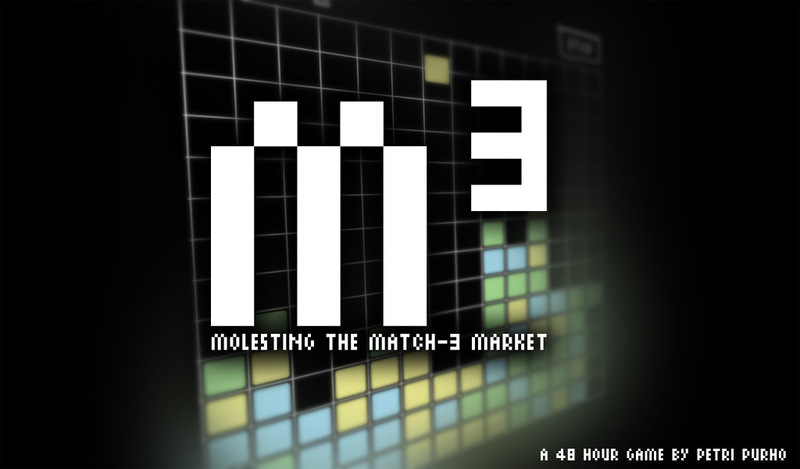 The game is done and it’s called M3 – Molesting the Match-3 Market. It’s inspiration was this blog post, which somewhat explains the name. 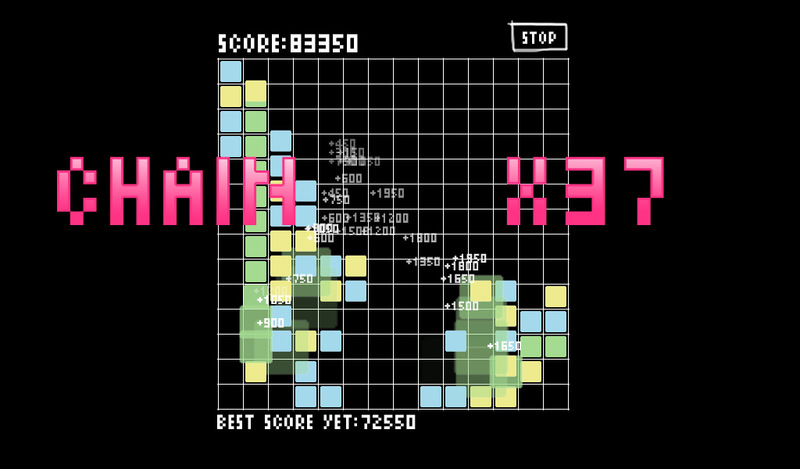 The idea in the game is that you’re a casual games’ level designer and it’s your job to create levels for the game, in which the players can get the maximum score without really doing anything. Because the truth is that’s what most commercially successful casual games are like. Big rewards with minimum input from the player. You’re a level designer for a casual game. Your job is to design levels so that (casual) players don’t have to do anything to get a huge score. This is the way commercially succesful casual games are being made. 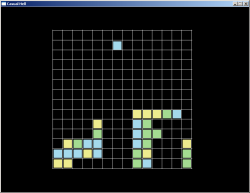 Drag the pieces around and click start. The colors will be destroyed as they touch each other. Try to go for the big multiple chains. [space] – swaps between the editor and game. You are currently browsing the Kloonigames weblog archives for December, 2007.